Participating in a Toddler Sense class is entirely at your own risk without any proven negligence, breach of duty of care or lack of due diligence by Baby Sensory Ltd., your local Franchise or its employees. Toddler Sense offers local discounts for twins if brought by one adult sitting within the teaching circle. Toddler Sense will endeavor to run classes during bad weather e.g. snowy conditions. However should we need to cancel due to safety concerns, parents will be notified/contacted (please check your local Toddler Sense Facebook page and make sure your phone number is kept up to date on our register). Parents are asked to keep their child at home if they have a serious infection and to inform the setting as to the nature of the infection so that other parents can be alerted. Toddler Sense will record, process and keep your personal information secure in accordance with the Data Protection Act 1998. Information will not be passed onto a third party unless you have opted in during the booking process. 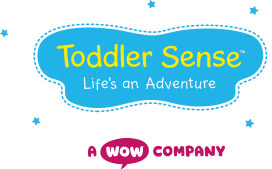 Toddler Sense is a Gold Accredited member of the Children's Activities Association and meets their standards in all operational aspects.